In addition to scheduled maintenance, your Mercedes-Benz™ might require repairs and parts replacement. Take advantage of our experienced and knowledgeable staff to repair and restore your vehicle to factory condition at an affordable price. Our promise is guaranteed and proven by an unmatched customer reviews available on our testimonial tab. We take pride in what we do by having over 5500 Mercedes-Benz™ vehicles serviced & repaired at our service center. We know you have other choices but we hope you try our Service Center in Silver Spring MD. 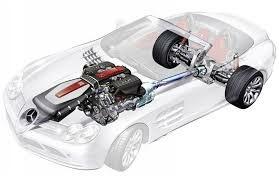 We specialize in all Models and our technicians are equipped with the latest Factory Diagnosis Software to maintain you Mercedes-Benz™ and perform repairs needed. We have a large parts inventory which gives us the ability to get your Mercedes-Benz™ repaired and back on the road as quickly as possible. Our repairs are backed by our signature Two Years Parts & Labor Guarantee.